Charles Waterstreet is one of Sydney’s most prominent and colourful barristers. The recent ABC television series, Rake, starring Richard Roxburgh, is loosely based on his life. Waterstreet is also a film producer and writer. He has penned two best-selling books based on his recollections of growing up in a pub in Albury and has a regular column in the Sun Herald. 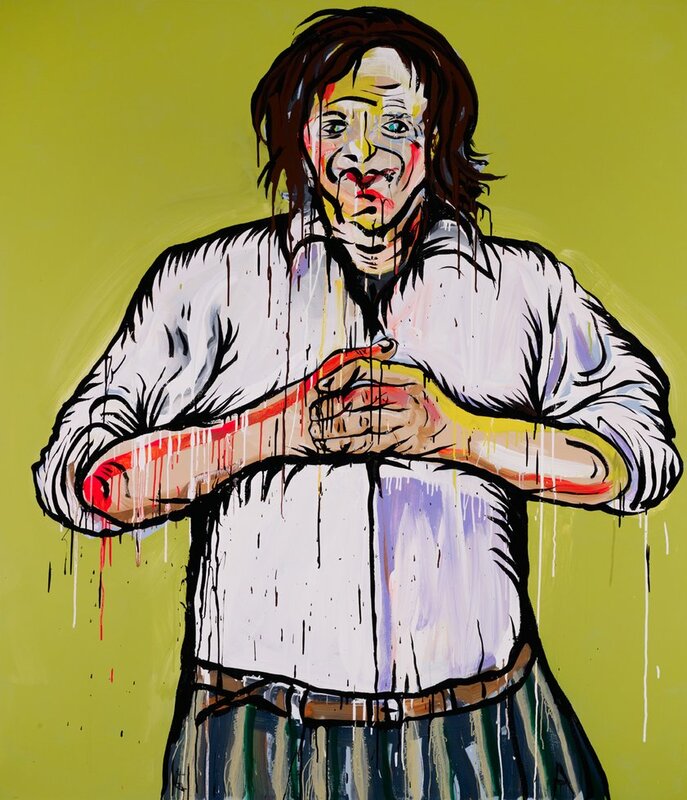 Adam Cullen is an equally colourful character in the art world, known for his use of dark imagery, including demonic clowns, decapitated outsiders and the marginalised, in vivid paintings that provoke a visceral response. He won the Archibald Prize in 2000 with a portrait of actor David Wenham. ‘Charlie Waterstreet is my barrister and he is one of the most interesting people I have ever met, a real Renaissance man,’ says Cullen. ‘He not only keeps me and a whole lot of other crazies out of jail but he’s a great author and spokesman for the arts. He really is a great asset to Australian culture.